Traveling with seniors affected by dementia is not too difficult in the early stages. However, it will require careful planning and preparation. 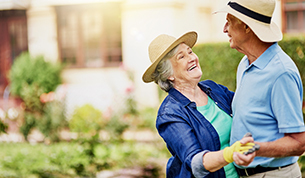 The experienced caregivers at our skilled nursing and rehabilitation center in Manville, Rhode Island share 5 valuable tips for safe travel with dementia patients. Talk to your loved one about the travel plans: Include your family member in the planning process. This will help reduce any anxiety they might feel about being in an unfamiliar place. Create an itinerary with details of all the destinations and give them a copy to keep. It is advisable to schedule travel during the daytime. Prepare a bag of essentials to carry with you: This should include necessary medications, important documents like doctor’s details and insurance information, emergency contacts, a list of food and drug allergies as well as a change of clothing, water, snacks and your travel itinerary. Also carry recent photographs of your loved one along with a description of current clothing to help with a search, if required. Keep a copy of the name and number of your hotel (or the residence you are living in) in a familiar spot in their purse or pocket, so they can ask for help if needed. Do your homework: Learn about the place as much as possible so that you know what resources are available and where you can get help if required. Make a list of phone numbers and addresses of the local police and fire departments, hospitals, and poison control. Talk to family members, friends or hotel staff in advance about your needs: Informing them in advance about potential challenges like wandering or sudden outbursts and how they can help. This will put them in a better position to assist you if a situation occurs. Consider bringing another companion if traveling by road: You will have someone to attend to your loved one’s needs while you focus on driving. As the disease progresses, travel might become too overwhelming. Consider respite care if you need to take a trip. 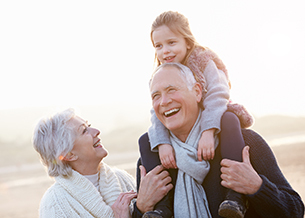 At The Holiday Skilled Nursing and Rehabilitation Center in Manville, Rhode Island, we are happy to look after your loved ones so that you can travel stress-free. With customized care plans, our experienced nurses look after patients with dementia and Alzheimer’s like their own family. State-of-the-art services cater to your unique needs. We have hundreds of repeat patients whose families turn to us for long-term care. Our entire establishment is located on one floor, providing easy access for all. In addition to caring for our patients’ daily requirements, we also offer a host of exciting, well-planned activities and excellent dining arrangements within our community. Give us a call at 401-765-1440 for more information about our skilled nursing facility in Manville, Rhode Island. Fill out this online form to book a tour.